Tuesday: I had my 8-week follow-up visit with the surgeon, Dr. Brown. He was very happy with my recovery and gave me the “all clear” to do whatever activities I want to now (no more restrictions on lifting, and I can try a more active yoga class if I feel up to it!). We spent more time talking about his favorite football team (the Saints) than we did about my health. I think that’s a good sign. Friday: Tim and I took a little day trip and had the best time without even going very far. Our first stop was Madrid for a surprisingly wonderful lunch at a new “Southern cooking” restaurant called The Holler. The crispy chicken was breaded and fried to perfection! It was served on organic greens with cheese and fruit – utterly yummy. After lunch we popped into a little co-op gallery called Spirit in Art where I got even more inspired to create (results below!) after seeing what those artists were up to. From there we took back roads along the Sandia mountains, drove through San Felipe pueblo, and even kept to the unpaved roads along the Rio Grande until we came upon a sign that read: Tribal Members Only Beyond This Point. We backtracked a bit and, unbelievably, we managed to be hungry again and had to stop at the Flying Star Café in Bernalillo for apple crisp pie (delicious, but NOT as good as Shawn’s version of apple crisp!). So, you’re now wondering, what was she doing on the other days that she didn’t have time to blog? 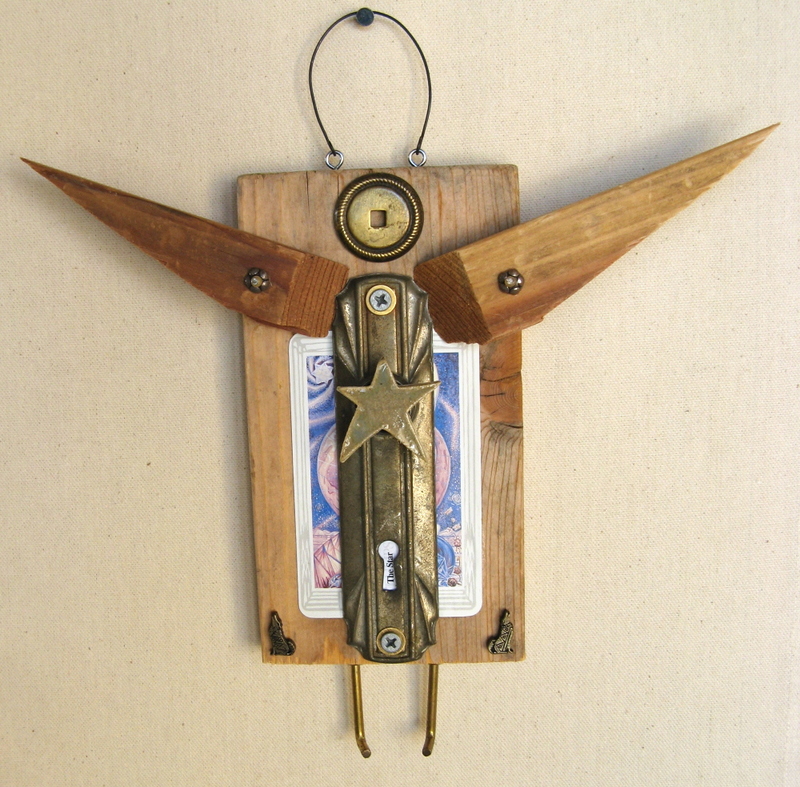 Well, I’ve been continuing to make those assemblage angels I mentioned back before the surgery, and I finally got brave enough to show the world what I’ve been inspired to create – so I opened another Etsy shop where I now have my Artful Angels for sale. 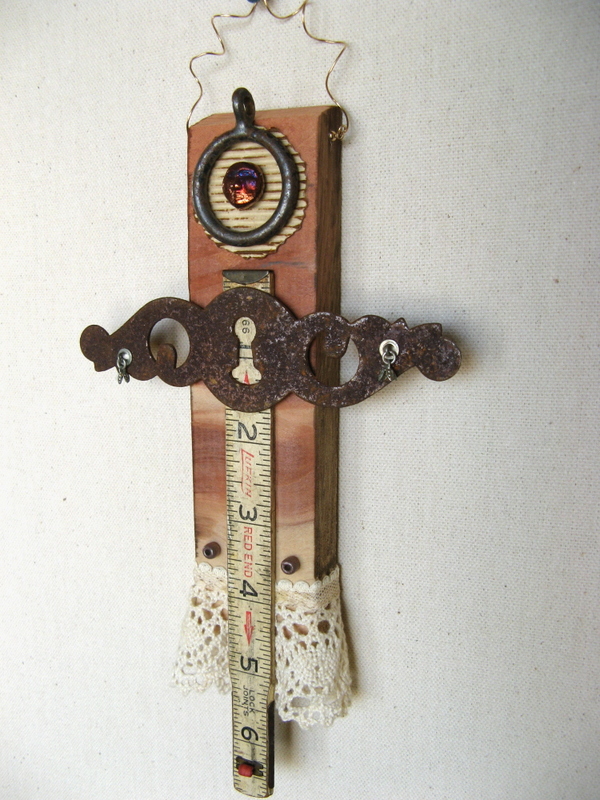 Here’s a peak at a few, but please visit the whole gang at artfulshe.etsy.com. I was working late into the night last night to get the new site up and running. I hardly slept. 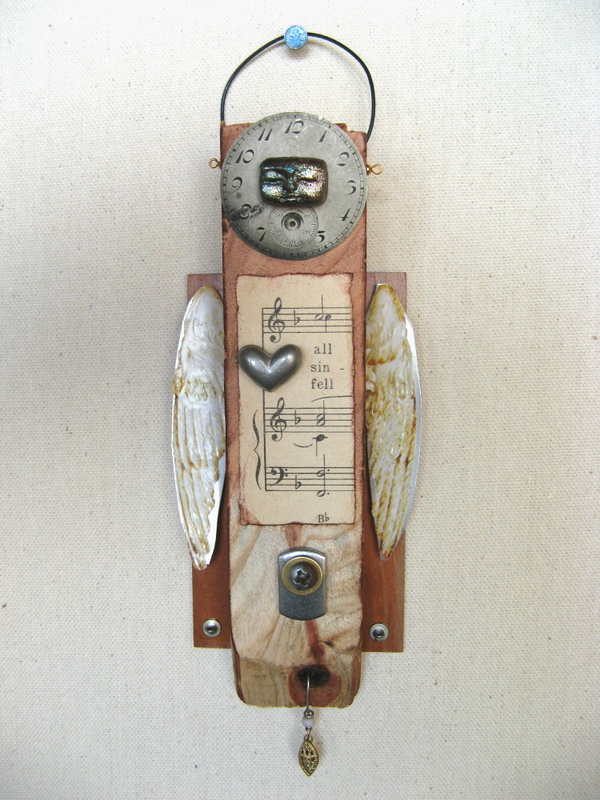 And then this morning I was stunned to find another Etsy seller had already discovered my work and featured one of my angels in a “treasury” she made (it’s a way for Etsy sellers to promote other Etsy sellers’ work). So, if you’re snooping around Etsy, check out this treasury too! But hurray because they only last two days. The one I’m featured in expires on Tuesday at 3:00 PM. Now that you’re caught up, I wanna go see how many “hearts” my angels have gotten (folks who like your items can list them as one of their “favorites” – they also call them “hearts”). Gotta run! Back in a jiffy! Karen, So glad to read about some good things you are experiencing. I love your angels. They have a wonderful energy about them. Keep listening to your inner creative goddess. Thank you, Karen for keeping us posted. i am so happy for your clean bill of health from the surgeon. i could almost taste that fried chicken!! Your angels are AMAZING!!! I loved every one of them. They are divinely inspired and they all touched me. Keep on with your angelic expressions. Finally catching up on your creative doings, and am tickled that everything is going beautifully for you…well deserved!